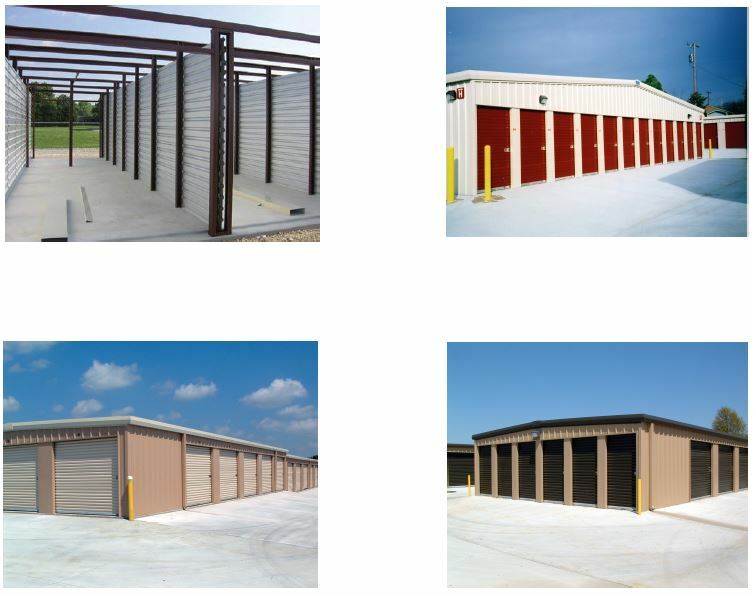 A typical Mini-Warehouse building is built in 5' Width increments and 10' Length increments. The most common Unit sizes are 5' x 10', 10' x 10' or 10' x 15'. Other size units are available, depending on the over-all building width and length. The most popular building width buildings are 20' or 30', with the eave heights being 8'6 or 9'6. These buildings can be designed as either Single Slope or Double Slope profiles. All floor plans are flexible by having the ability to adjust the location of the partition walls. Some of the many options are: Climate Controlled Units, Standing Seam Roof Systems, Gutters & Downspouts, Roll-Up Doors with Hardware and Eave Overhangs W / Soffit. Contact our sales office to find out how we can help you to get started earning money on your investment.